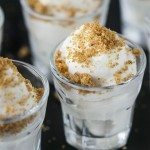 Replace the graham cracker with a tortilla for a fun twist on the traditional S’more. 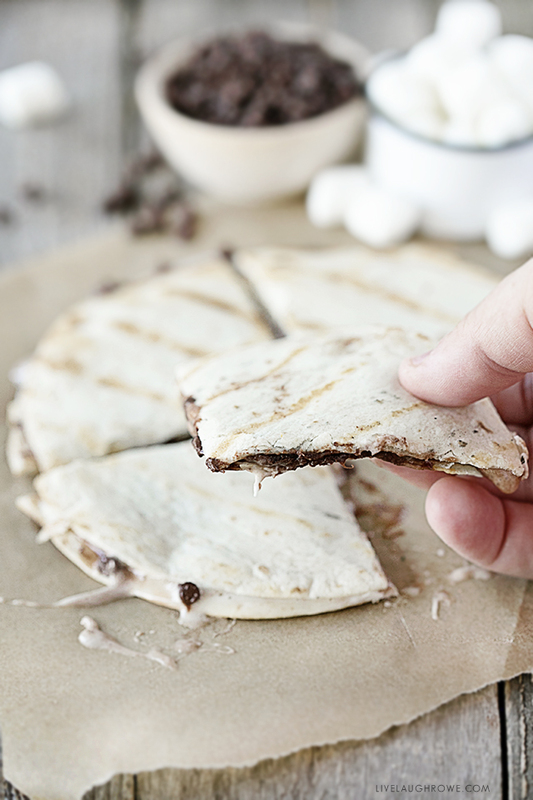 A simple treat you can make indoors or outdoors, these delicious S’more Quesadillas make a great snack, dessert or sweet appetizer! 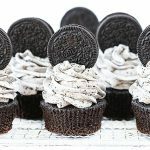 It’s understandable why dessert isn’t a food group of its own, right? Many of us would be in BIG trouble. Go ahead and put cake, cookies, or ice cream in front of me and there’s a 90% change I’ll accept it (insert face palm). And since we’re talking about dessert, how about those yummy s’mores? I’m not sure why they’re usually associated with summer because I LOVE a good s’more on a chilly fall night by a bonfire too! How about you? I have some great memories from camping with the Missionette’s and Royal Rangers to bonfires by the lake with my youth group to those monster bonfires while out barn swinging in college. And on each of these occasions — s’mores were involved. 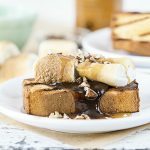 With dessert (or specifically s’mores), comes memory making! When my sister and I were roomies, we used to make s’mores on the stove top just because. I’ll never forget a friend stopping by and teasing us about it. Hey, we didn’t have a grill and we wanted s’mores, so we made it work! When I think of s’mores one of the first words that comes to mind is CAUTION. Why? Well, they’re a bit addictive. Add some peanut butter or a peanut butter cup and, friends, you have one magnificent treat. Mmmmm. I’m officially craving one (wink). 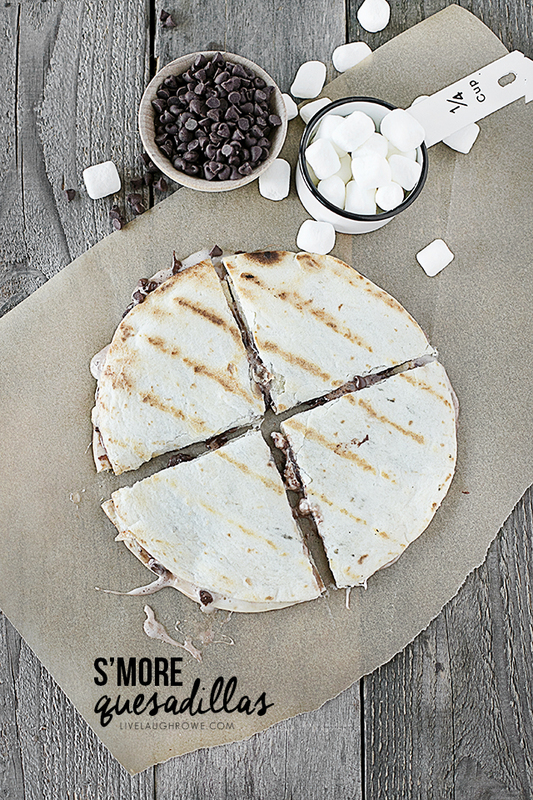 And I digress…..
A few years ago I saw a recipe in a Martha Stewart magazine for S’more Quesadillas and thought it was worth a try. I love quesadillas and a sweet spin seemed like a good idea. It was delicious! 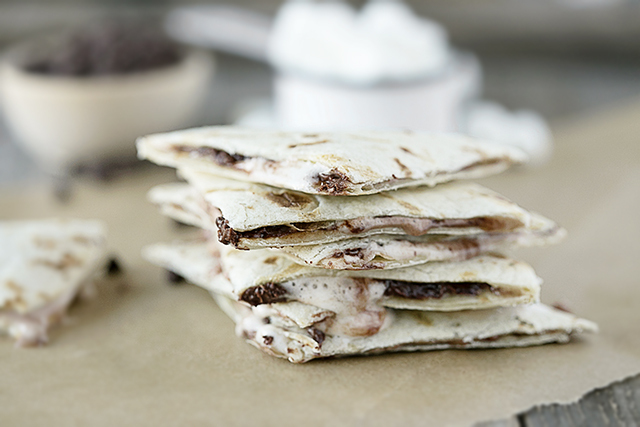 The s’more quesadilla is great for large crowds, as they can be shared a lot easier than a traditional s’more can. Don’t forget you can add Nutella, Peanut Butter, bananas and more! Give them a try and let me know what you think — enjoy! Heat a grill or grill pan. 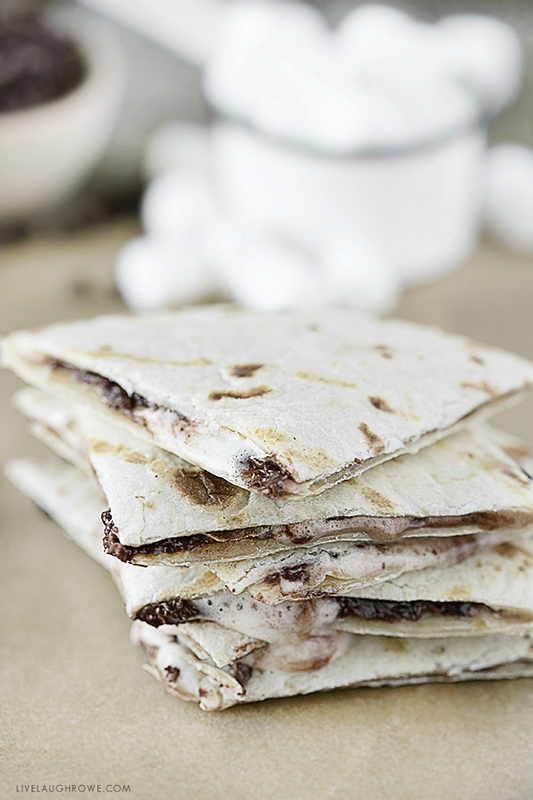 Place tortillas on a clean work surface; scatter each with marshmallows and chocolate chips. Place another tortilla on top and lightly press them together. 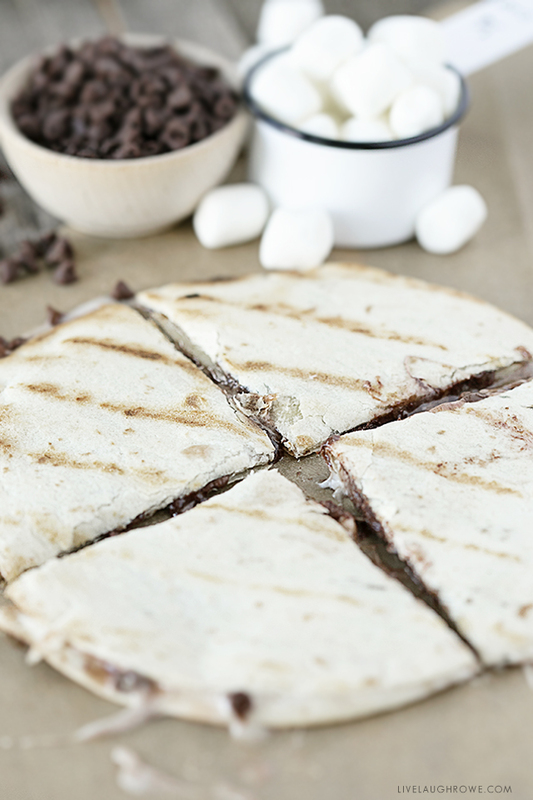 Grill until tortillas are browned and chocolate and marshmallows are melted and gooey, about 30 seconds per side. 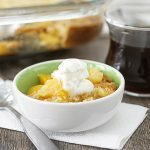 Cut into four or six wedges, and serve. I loved your post. I always come here to see the news. Congratulations. Sensational this cookie should be delicious.